As we start the new academic year here in Portland, I would like to take a moment to express thanks for the amazing individuals, families, professionals, and uLab team members that have made the previous year so meaningful and productive. It is hard to put into words the feeling of seeing a person have a communication breakthrough. Yet, I can express that I am very thankful for the privilege to serve individuals with complex communication needs. I am appreciative of the ability to help create the circumstances for those moments of growth to occur. It is such a gift in my life. Also, special thanks to Linda Akagi who is truly our “secret weapon”. The principle “Nothing about us, without us” is important and I feel very strongly that the uLab can only move forward if it respects the purpose and meaning behind this concept. You can see a bit about how Linda actualized her internship in this story. Thank you to the families and their openness to collaborate. Their efforts and care for their children are beautiful to see. First coming into this work through the Michael Carter Lisnow Respite Center in Massachusetts, my views and practices were forged as being in close connection and collaboration with families. The moments here in the US, Australia, and Brazil with families this year have moved me and taught me so much about not just assistive technology, but love too. Working closely with families is very important and something that is inherent to the way I conceptualize service and special education. The professionals that we role up our sleeves beside are heroes to me. Every moment that I get to visit a school and be side by side these people, I feel the weight of this honor to serve and coach. Sometimes it is nearly effortless and other times the work is challenging, but I realize that it is such a gift to serve in this way. I realize that when I was taking my first steps in my practice, I wish I had someone playing the role I’m playing. I feel great thanks for the openness and humility that the professionals we partner with demonstrate. It inspires me to keep listening to you and to keep working to be a conduit of bringing practice-based research algorithms into further refinement. The uLab team is a group of people who are so passionate about service and I am thankful to be in this community with them. 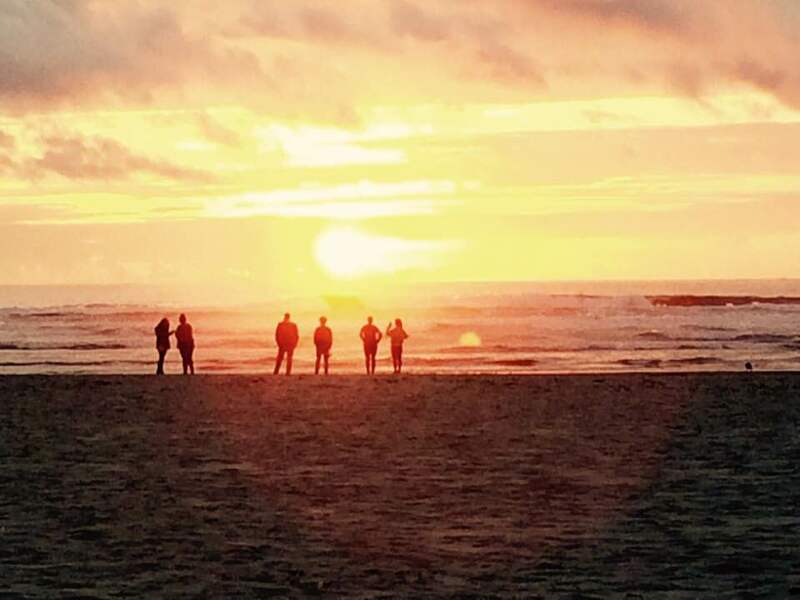 At the end of the summer, we traveled to the Oregon coast for a one day retreat where we reflected on our lives and practices. It makes me feel so hopeful to be a part of a small community of people who care so much. As we take steps to further integrate human-centered processes such as Design Thinking and the SETT into our efforts to create accessible pathways inside important aspects of life, I realize that it is such a gift to be able to do this with you all. I am so thankful that we serve alongside each other. We are learning some very important things and are developing tools that hold the potential to create exponentially positive impacts in people’s lives. I also recognize that this year, we have identified some of the major challenges we face in education and health. As I reflect and “stare these mountains down”, I recognize that we will now apply that same creativity we use with individuals, to systems. These next steps will certainly be filled with moments of growth and new relationships. I hope to mindfully bring all that I have and all that our little community has to these efforts. With thanks and love I welcome the 2018-2019 academic year at Portland State University.